If this latest leak is to be believed, we now know the dates for both the Fall and Holiday Steam Sales this year. 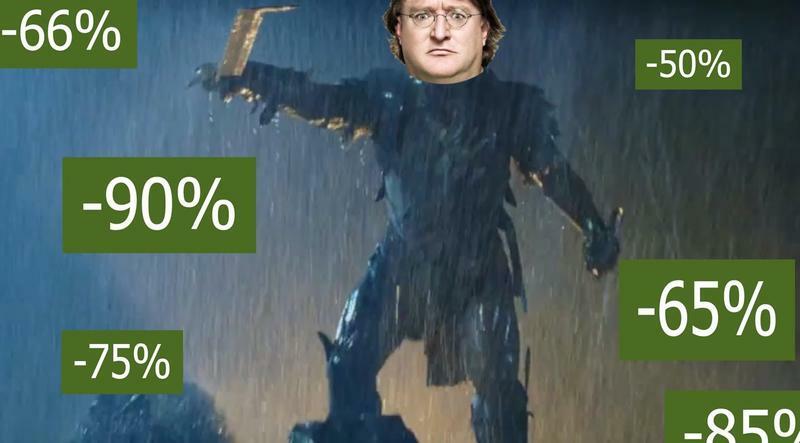 Even further, we know that Valve is doing away with both the Flash and Daily sales. This leak comes via Shacknews as they picked up on a thread in the Steam subreddit. That thread indicates that the Steamworks Developer Group has just been notified about the dates of both sales and what they'll lack. First, the dates. The Fall Sale will run from November 25, 2015 at 10am PT until Decembet 1, 2015 at 10am PT. The Holiday Sale will run from December 22, 2015 at 10am PT until January 4, 2016 at 10am PT. Redditor Honey1159 points to block of text from Valve for the decision to drop Daily and Flash Sales. Remember, this message was crafted for developers and publishers. In past sale events, we've asked for two discounts—a duration discount that runs for the length of the sale, and a feature discount that runs in the event that a game is featured on the front page. This year, to optimize the sale for customers and to allow us to feature and recommend your products in more ways to more customers, we're asking for just one discount, to run the length of the sale. We'll still be highlighting top games on the front page for 24-48 hour spans, but those products will stay at their most competitive discount, before and after being featured. It's not a major change, but it does make the sale a lot more valuable for customers, and it allows us to build sale tools that highlight and recommend products all sale long, instead of just during front page features. Expect the deals to run for the duration of the sale instead of popping up daily or every eight hours. What are you hoping to see reduced?